In 1965 most people were tinkering with cars in their garage. Davis Bynum was tinkering with wine. He created Barefoot Bynum Burgundy in that tiny room. But our spirited ways really began with our founders, Michael Houlihan and Bonnie Harvey. In 1986, they took a sleepy label and gave it Sole. Both agreed it was time for a wine that didn’t take itself too seriously. 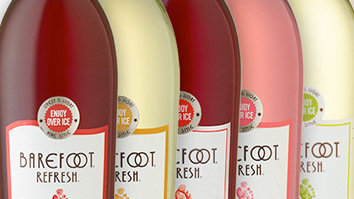 So, Barefoot Cellars was created (Bonnie liked the name because it was easy to pronounce) and initially run out of their home. Some say the office was so small you had to go outside to change your mind.